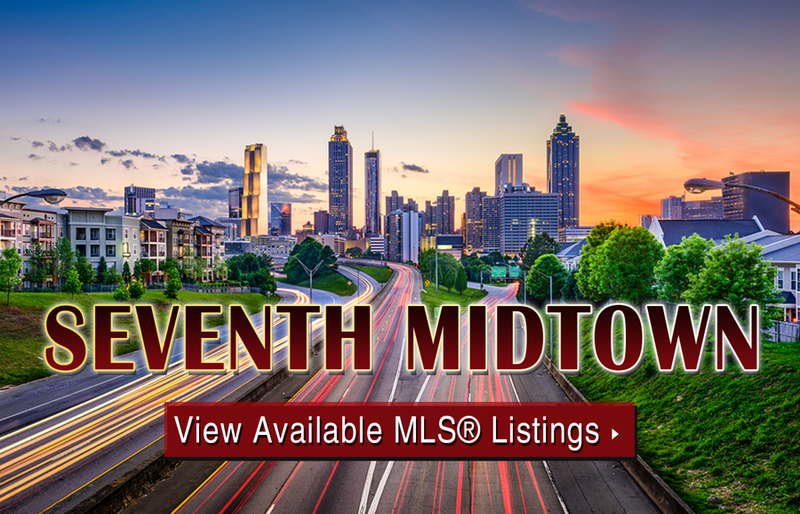 Seventh Midtown in Atlanta is a luxurious, well-appointed condo building that’s hard to ignore if you’re a high-end home buyer looking for a new place to live. Conveniently located in the heart of one of Atlanta’s most vibrant neighborhoods, Seventh Midtown condos for sale offer spacious floor plans, luxury finishes, and a walkable location that’s close to the best shopping, dining, and entertainment Midtown Atlanta has to offer. In all, Seventh Midtown stands 9 stories high and features just 21 units, providing residents with more of an intimate feel than many of the city’s sprawling residential high-rises that house hundreds of individual units. If you’re someone who feels Seventh Midtown in Atlanta is the perfect fit, feel free to give us a call at (404) 564-7272 at your earliest convenient to learn more about the building or to schedule a private tour for any available units you see listed on the market. And to start browsing active Seventh Midtown condos for sale, simply click on the link below to view what’s available! Listed below are recently closed sales at Seventh Midtown. Whether you’re thinking about buying or selling a unit in Seventh Midtown, checking to see what other comparable properties have sold for in recent weeks and months provides helpful insight into current market conditions for the building. For more information about Seventh Midotwn condos for sale or for a complete list of recent condos sold in the building, contact The Zac Team today! Seventh Midtown condos are located at 867 Peachtree Street NE at the intersection of Seventh Street and Peachtree. As alluded to above, it’s hard to find a better location to call home from a walkability standpoint, which is of course one of the many reasons why condos for sale at Seventh Midtown are in such high demand. Peachtree Street specifically is packed with bars, restaurants, cafes, and retail shops, and the Midtown Transit Station is also only a few short blocks away as well. Easy access to Interstate 85 also makes condos for sale at Seventh Midtown attractive, especially for anyone who commutes into downtown Atlanta or anywhere north if the city. Can’t find what you’re looking for at Seventh Midtown? Start browsing other Midtown real estate for sale or give the Zac Team a call at (404) 564-7272 for help with your new home or condo search today!